Super fast breakdown of how I did this (per Alison's request). **P.S. This one is slightly misquoted. 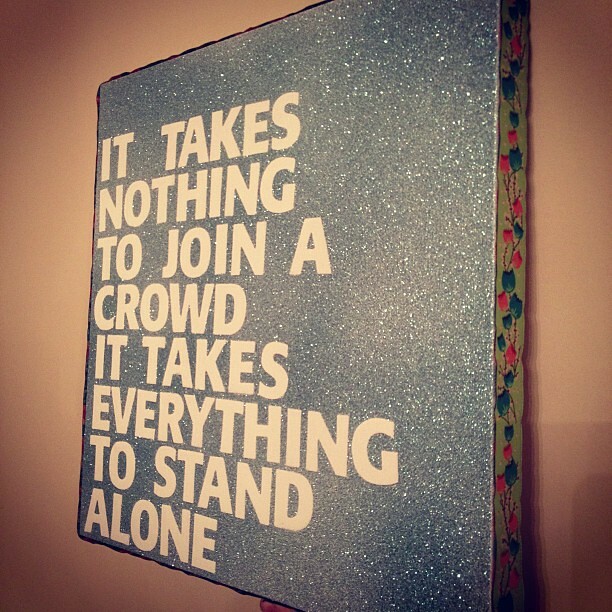 It should say, "to join THE crowd"
Put the letters on the canvas. Go outside to paint and put down a plastic bag or cardboard or something so you don't have a glitter driveway or grass. Following the directions on the can, spray over the entire front of the canvas evenly. You have to spray a bit to get it dark enough (at least I did). DON'T TOUCH IT FOR 20 MINUTES! When at least 20 minutes have passed, you can remove the letters. I would suggest letting it dry a tiny bit more before you do the next step. Working on one side at a time, put a line of hot glue along the middle of the canvas side and press your ribbon down on top. Ta-da! Fun decor! I now want to make a million of these in all sort of colors, quotes, and fun sayings! 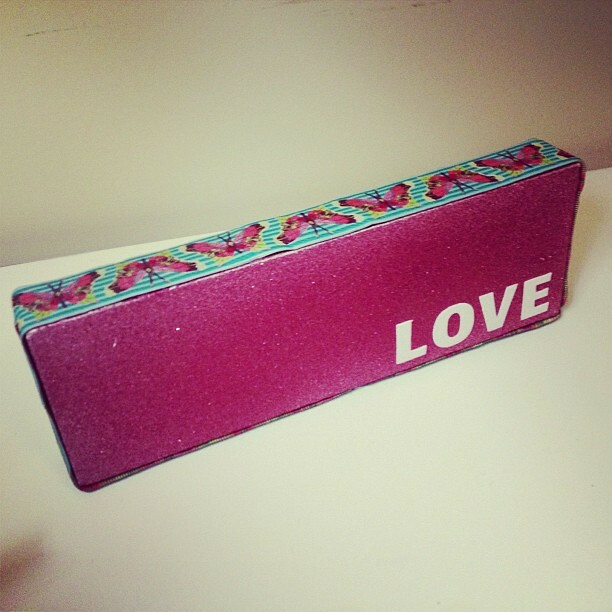 Thanks to my friend Sara Rose for the inspiration and the heads up on the spray glitter paint! glitter spray paint you say?!? fun! LOVE. I want to make 100! Thanks for the ideas for those of us in the procrastinate-in-making-Christmas-gifts category. The Krylon Glitter Blast - craft store or hardware store?